From internationally bestselling author, Lesley Pearse, Survivor is a story of bravery and love. 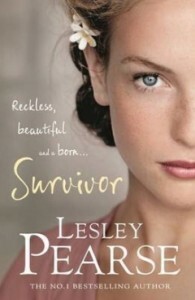 Courtesy of Penguin Books, Read an extract from Survivor by Lesley Pearse. Lesley Pearse is one of the UK’s best-loved novelists with fans across the globe and sales of over 7 million copies of her books to date. A true storyteller and a master of gripping storylines that keep the reader hooked from beginning to end, Pearse introduces you to characters that are impossible not to care about or forget. There is no formula to her books or easily defined genre. Whether crime as in Till We Meet Again, historical adventure like Never Look Back, or the passionately emotive Trust Me, based on the true-life scandal of British child migrants sent to Australia in the post war period, she engages the reader completely. 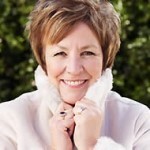 Like Lesley Pearse on Facebook or follow her on Twitter. Previous PostBrett Murray by Brett MurrayNext PostSowetan Dialogues – Can the ANC be rescued?